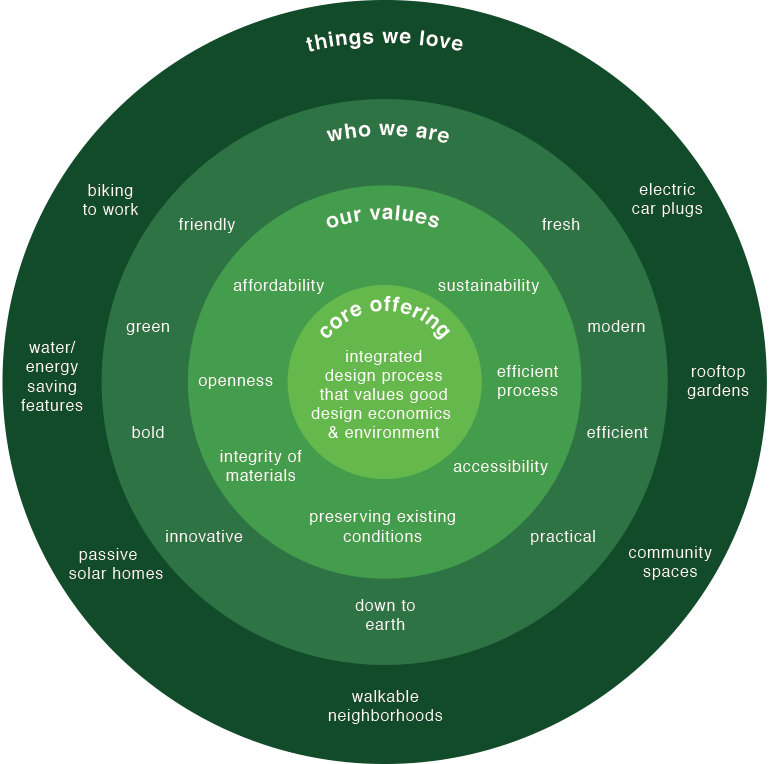 here at kevin stephens design group, we believe in sustainability in all aspects. we build sustainable properties, embrace green innovation and believe that good design can be accomplished with any budget. our company exists to design spaces that promote a healthy, sustainable lifestyle, knowing that design can be used as a vehicle to connect us to each other and to ourselves. we strive to create maximum accessibility in all senses of the word – from spaces with disability access to homes where work and play are easily accessible. but sustainability is not just about choosing sustainable building materials or installing solar panels – for us, it is a way of life. sustainability is what we do – and what we do does not stop once we clock out at 5pm. we believe that sustainability begins with us – what we do in our own time, whether we’re out exploring the city or enjoying the warmth of our homes. it begins with recycling and biking and reusable water bottles, with local produce and cutting out excess daily consumption. we are open to new opportunities, new innovations, new ideas and new relationships. if we keep an open mind and heart, we will treat each other with fairness and respect. it is only then that we can empower each other, learn from each other and improve our work and ourselves. at KSDG, creativity is a main component of our work. we cannot produce higher quality work, unless we are open to change. with a strong focus we can ensure the timely completion of our projects, ensure that our clients are happy with our work and that we are designing and building quality spaces. we live in a world with shorter attention spans and more sources of distraction. by staying focused, we can strive to be more efficient with our time and resources. do more and do it better. integrity means doing the right thing, even when no one is watching, and even when it’s not easy. we are proud to navigate the challenging territory of being a for-profit business that actually cares about the environment and the people we are working with in a business where that isn’t always the norm. we ensure that we run our business smoothly and profitably, without veering from our values. we always look towards maintaining that integrity – no matter what we do. at the end of each day or each project, we ask ourselves the same questions: did we do our best? did we give back? when it comes down to it, it really is all about giving your best and giving back. how did we contribute to the world today? when we leave this planet, how would we want to leave it? are we leaving it better than how we found it? that’s why we design with so much care, and that’s why it’s so important for us to design things that last and things that promote positive human relationships. © 2003 - present, kevin stephens design group, inc.